The US military says it has deployed a group of troops and military vehicles along the Syria-Turkey border to prevent further clashes between Turks and Syrians. 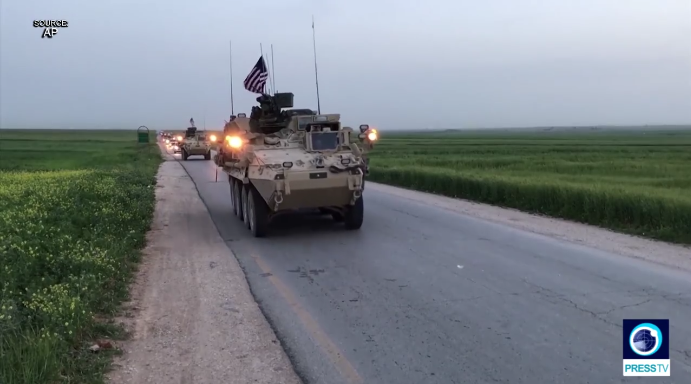 A convoy of armored vehicles with US flags was spotted on a rural road in the village of Darbasiyah, a few hundred meters from the Turkish border in Syria’s northeastern Hasakah province, Kurdish activists said Friday. Pentagon spokesman Captain Jeff Davis also confirmed the report. “We continue to urge all the parties involved to focus on the common enemy which is ISIS (Daesh),” he told reporters later on Friday. Ilham Ahmad, another senior Kurdish official, told the Associated Press that the US troops began their patrols along the border on Thursday and had already conducted reconnaissance flights in the area. “The US role has now become more like a buffer force between us and the Turks on all front lines,” Mustafa Bali, a Kurdish activist in the area, said. The move comes after Turkish airstrikes in Iraq and Syria killed 20 members of the US-backed Kurdish People’s Protection Units (YPG) and injured 18 more on Tuesday and Wednesday. The YPG is the main Syrian Kurdish militia group fighting Daesh (ISIL). Sharvan Kobani, a YPG commander, told Reuters on Friday that the US troops would only report to their high-ranking commanders and were yet to begin their monitoring mission. Ankara says the attacks were part of its military campaign against “terrorist havens” in Syria and Iraq and sought to prevent a potential spillover of the conflict into Turkey. The US and Turkey have been at odds over Ankara’s military action in Syria, which Washington says is mainly aimed at countering the rising influence of Kurdish fighters in the country. 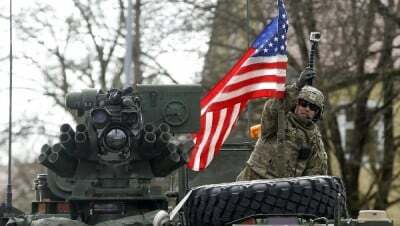 Last month, nearly 200 US Marines armed with a battery of 155mm Howitzers were sent to northern Syria. The deployment marks a significant move for conventional US forces in Syria, which have been limited to about 500 Special Operations forces on the ground. In August 2016, Turkey began a major military intervention in Syria, sending tanks and warplanes across the border. In late March, Ankara announced the end of its military operations in Syria but did not rule out the possibility of yet another military intervention in war-torn Syria.